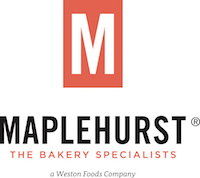 Maplehurst Bakeries is a leading producer of frozen bakery products for In-Store and Food Service Bakeries. We are committed to leading the In Store Bakery industry by developing and bringing the most innovative products to market. Our products and services can be found at the best supermarket chains and Foodservice outlets in North America. Since 1967, Maplehurst Bakeries is proud to have become one of our nation's largest bakeries dedicated to the highest quality bakery product available. This position will ensure finished good are warehoused and loaded for outbound shipment in a safe and efficient manner. Must understand and agree that safety is the most important expectation of employment. Must have working and driving knowledge of all types of forklifts used in the facility. Will understand dock door and lock operations throughout the entire facility. Will participate in rotation of warehouse stock. Must have appropriate computer skills to monitor warehouse inventory, use IR Scanners, work in established systems and understand Ticket Masters. Will load/ unload and verify counts of raw materials and finished goods. Will operate forklift within guidelines outlined on Forklift Operating Policy. Will attend all required Operations and Safety training. Will maintain attendance as outlined in company attendance policy. Ability to read, write and perform basic math. Must be able to follow written and verbal directions as well as safety regulations. Expected to maintain the cleanliness of the work area. Must help ensure proper product rotation. Must be able to understand and perform lot and location control. Must be able to understand and perform basic computer functions.